Defending clean air and water has been a consistent priority for Mike Skindell. Upon first arriving in the General Assembly, he went to work promoting a renewable energy portfolio standard; years of effort ultimately got this standard passed and signed into law. Skindell has steadfastly opposed efforts to eliminate the renewable energy standard; he has worked hard to restrict fracking, and reform unreasonable setback rules that have stalled wind-energy development in Ohio. Both the Ohio Environmental Council and the Nature Conservancy have recognized Skindell’s work. 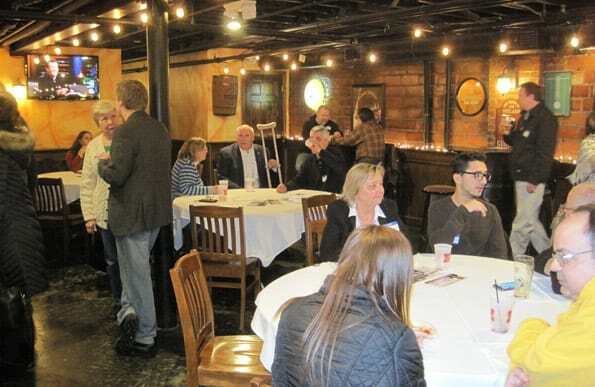 On Monday, March 12, they were joined by Cleveland’s newest political advocacy group. The Westside Enviro Dems hosted a reception and fundraiser for Skindell, as well as state senate candidate Nickie J. Antonio and House District 14 candidate Steve Holecko. The Ohio AFL-CIO represents nearly two-thirds of a million workers in more than 1500 affiliated unions. 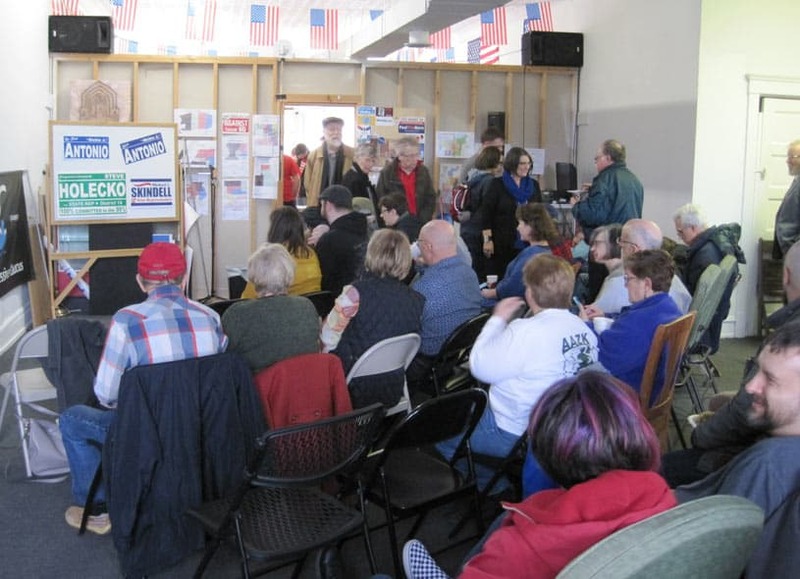 A standing-room-only crowd attended the official kick-off rally of Michael J. Skindell’s campaign for state representative, District 13, on Sunday. The rally also served as grand opening of a shared office for the campaigns of Skindell, Nickie J. Antonio for state senate District 23, and Steve Holecko for state representative District 14. All three candidates have been endorsed by the Cuyahoga County Progressive Caucus. Skindell spoke to the substantial crowd about both his history as a legislator, and why he is passionate about continuing in public service as a state representative. COLUMBUS — Today, Senator Michael Skindell (D–Lakewood) and Senator Charleta B. Tavares (D-Columbus) introduced Senate Bill 260, which would establish an assault weapons ban throughout Ohio. The legislation specifically makes it a felony of the fifth degree for possessing or acquiring an assault weapon. Under the bill, an “assault weapon” is an automatic firearm or semi-automatic firearm capable of accepting a detachable magazine with the capacity of accepting ten or more cartridges and a semi-automatic firearm with a fixed magazine with the capacity of accepting ten or more cartridges. The legislation models Senate Bill 18 introduced in 2013 and co-sponsored by Senators Skindell and Tavares. LAKEWOOD – Thursday, January 4, 2018 – Seeking to continue to represent the residents of Cleveland’s west side and Lakewood in the Ohio General Assembly, Democratic State Senator Michael J. Skindell has filed petitions to run for State Representative for the 13th House District. Skindell has proven to be a powerful vote-getter which sent him to Columbus with big margins since 2002. Previous to that he was a Lakewood Councilman at Large for five years.